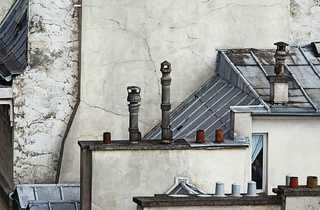 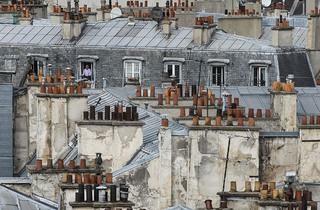 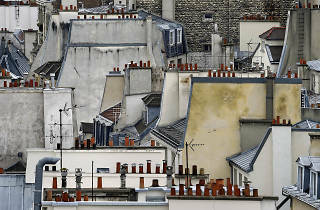 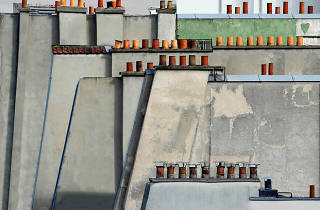 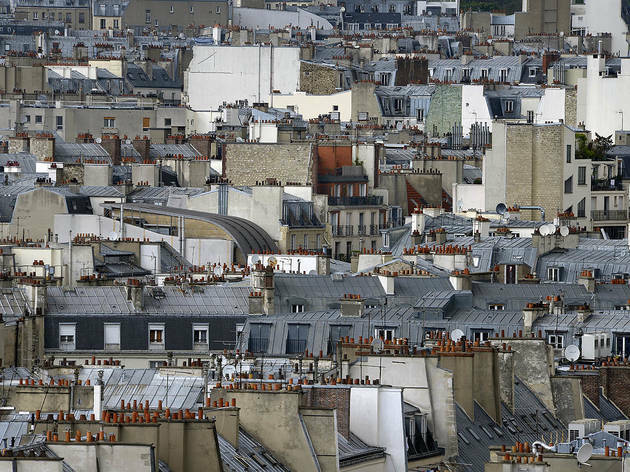 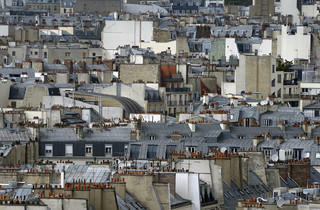 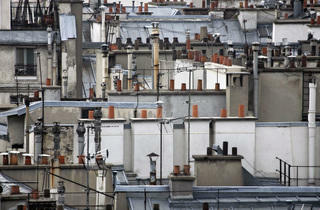 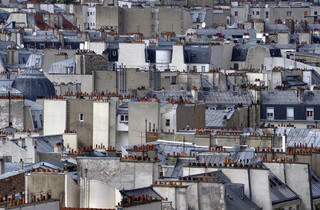 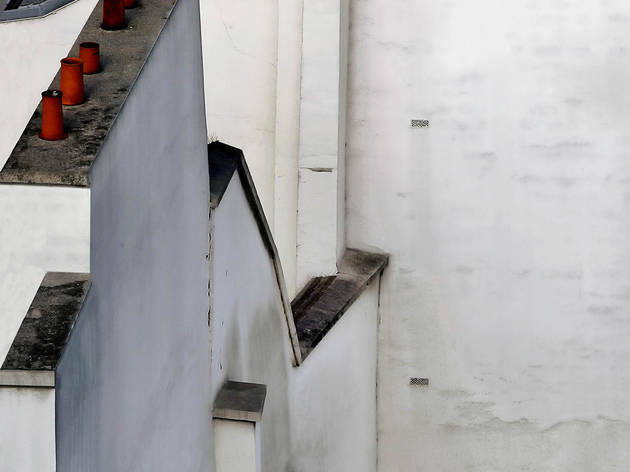 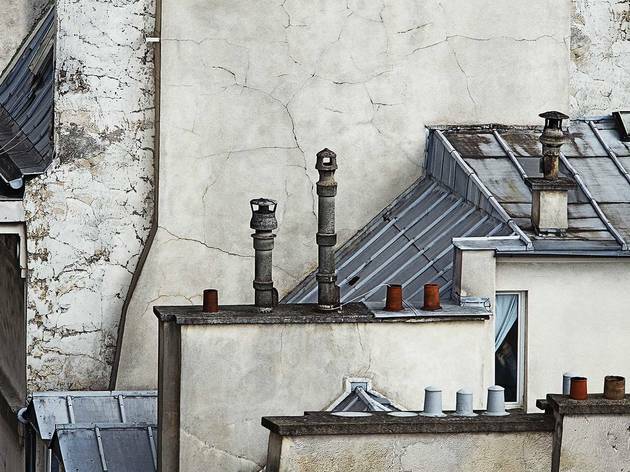 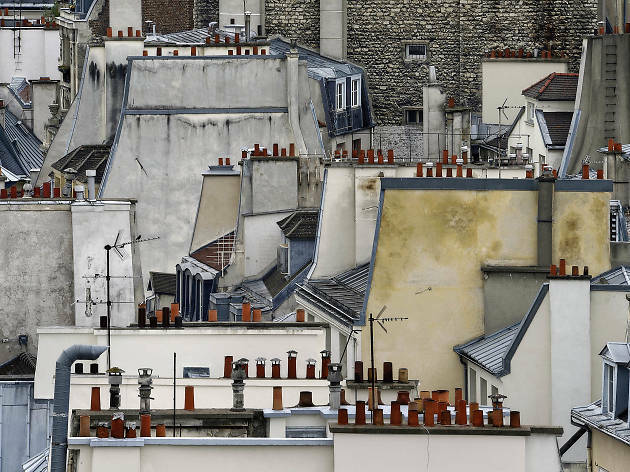 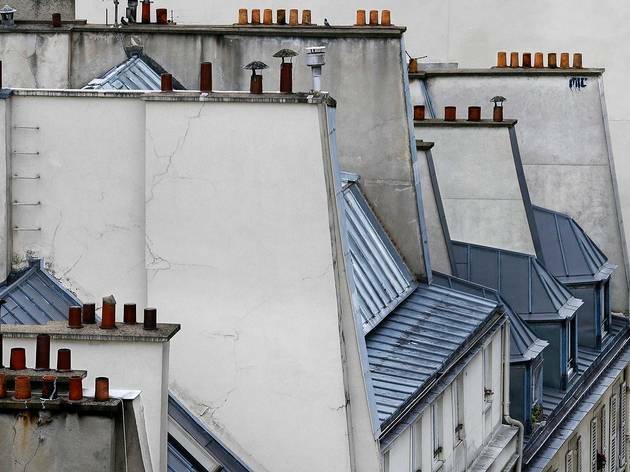 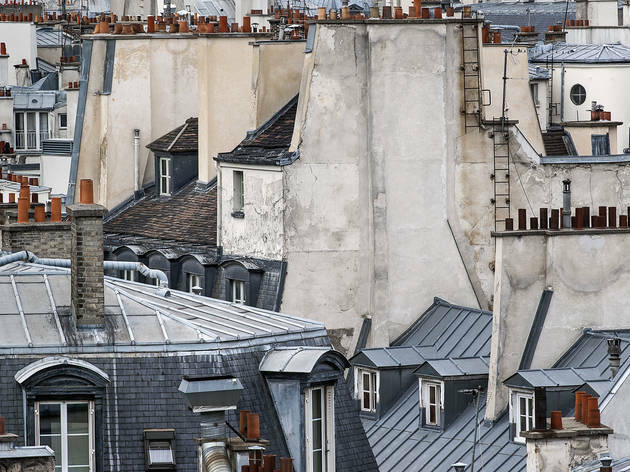 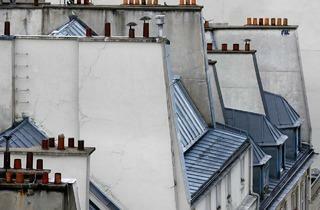 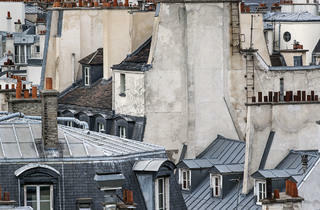 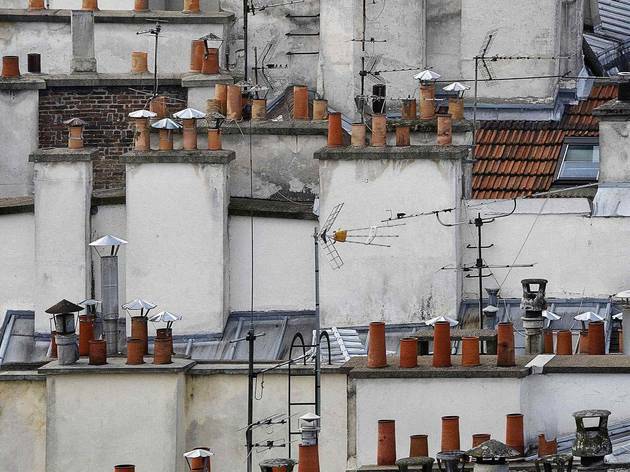 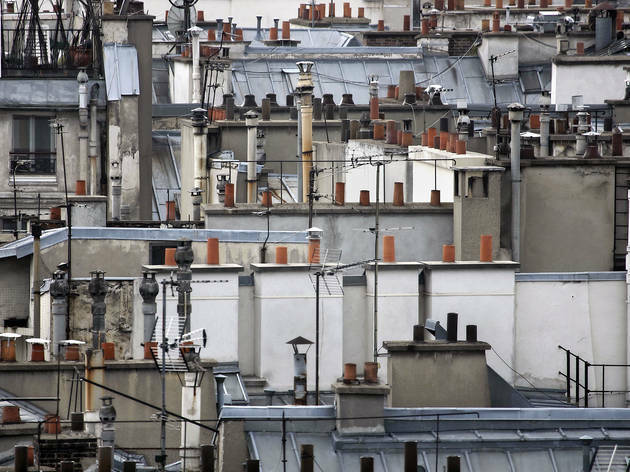 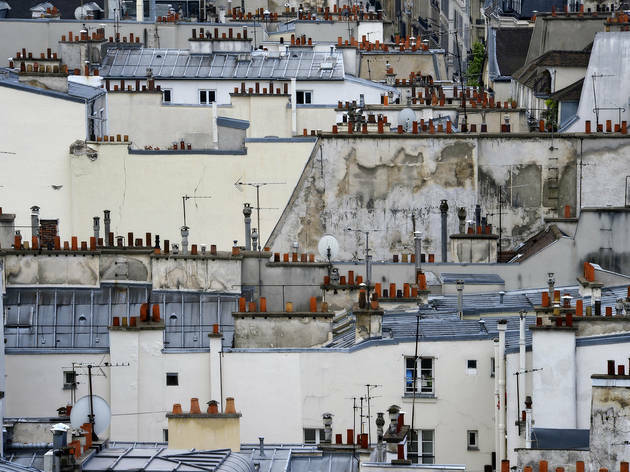 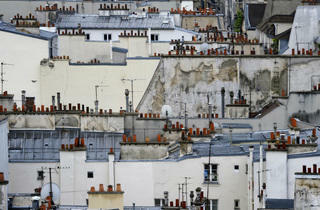 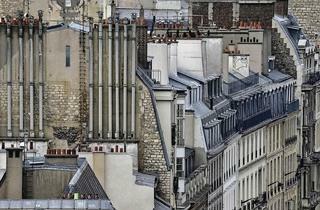 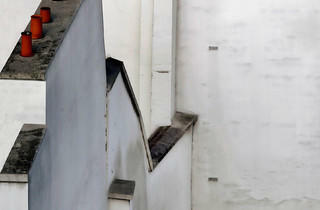 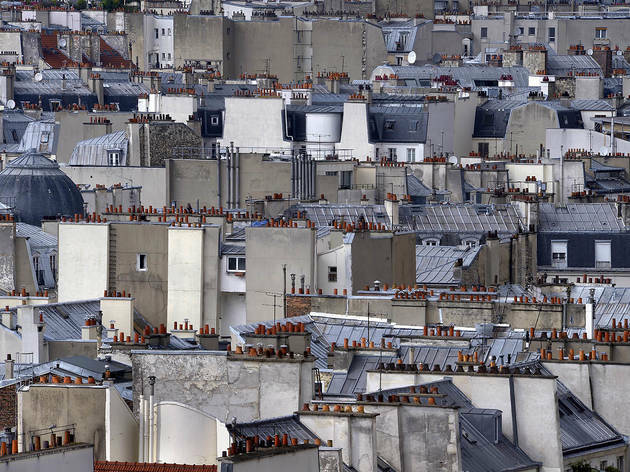 Following in the footsteps of André Kertész, who dedicated many a spool to the chimneys of New York and Paris last century, Michael Wolf has taken to the rooftops of Paris to capture the city’s heights through photography. 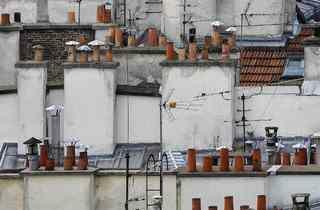 Zinc, tiles, slate, piping systems, antennas, chimneys, windows and bricks: an unknown world lies just a few metres above the pavements. 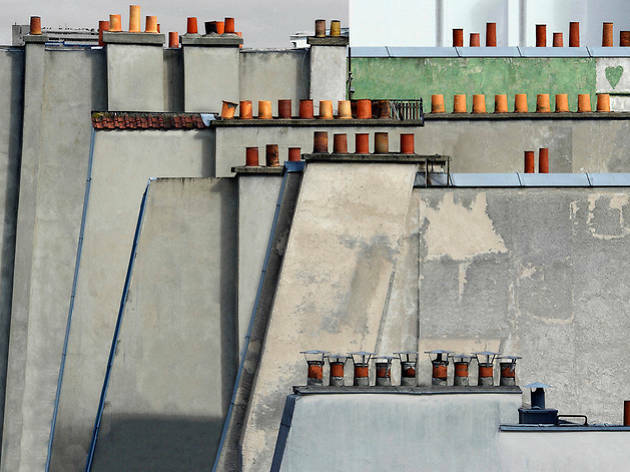 Paris takes on a colourful and playful aspect in Wolf’s pictures, which reveal dishevelled urban summits, rough building façades and rooftops overlapping. 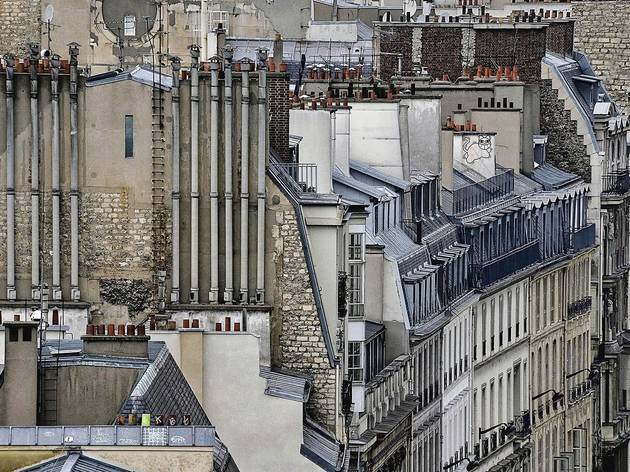 The buildings relay one another into the distance in Wolf’s expertly composed frontal shots, which somehow defy conventional verticality. 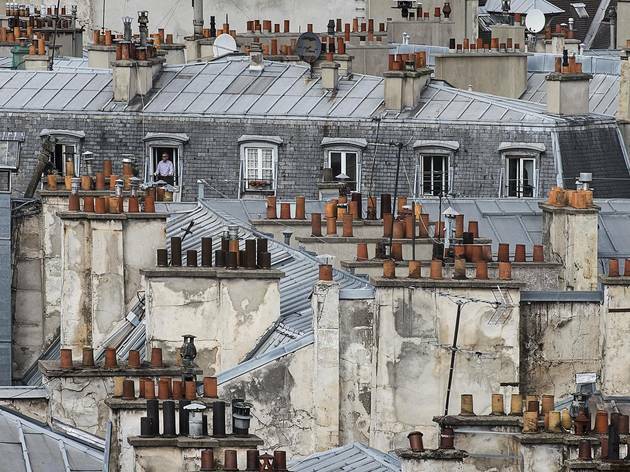 This beautiful exhibition bears witness to our iconic rooftops, currently being considered for classification as UNESCO World Heritage sites (to be determined in February 2015).